I know the concept of Alkaline sounds a bit confusing but its quite simple, Alkaline refers to the pH level. Water has a neutral pH of 7, while most skin care products have a lower pH of around 5.5, and our new range of products have a pH of 7.3 which is just slightly higher than water. Higher alkaline means there is more oxygen in a liquid which ensures skin cells absorb more water, improves blood flow, increases cells ability to regenerate more effectively and glowing skin. And if you know me I am all about glowing skin. I have to mention that I do not have sensitive skin and when I do see products that are aimed for that I automatically think it wont do much for me because my skin is Combination mostly dry with an oily t- zone but boy was I wrong. The skincare items sent to me consisted of the Cream Cleaser- Clean Slate, the Night Cream- Midnight Feast, The Serum- Strength Training and the Day Cream- Sidekick. The packaging is sleek and minimal and I love the aqua green sides on the outer packaging it just reminds me of the beach just very cool. I also love how the bottles are there all pump bottles which is even more hygienic in my opinion. I used these products for two weeks morning and evening. The Cream Cleanser £22- This cream cleanser states that it will rebalance your complexion and the shea and the cocoa butter will lift off the impurities. It contains chammomile and marigold that will soothe and calm the skin revealing a healthy glow. I have to say that when I used this at first I loved the smell it smelled like I was in a spa and most products that are geared towards sensitive skin can be quite non scented and I have to say sensitive or non- sensitive I love my products to have some form of scent. I found this cleanser to be quite light weight and it left my skin feeliing so soft and fresh. I then followed up with the Serum. The Serum £42 - When I pumped the Serum I was quite surprised that it looked like a cream to. Not sure if its the influence of the Ordinary but I just thought it would be a liquid or oil. The serum states that it will strentthen the natural barrier of your skin and reduce the signs of ageing. I wont list all the scientific terms in terms of the content but one thing this does contain is Hyaluronic Acid and that plumps the skin and preserves your youthful appearance. It also has Silica and Pentavitin in the serum and that keeps the skin hydrated. So overall this will also reduce any appearance of lines and wrinkles. Without reading the full contents on the box I could tell that the syrum was very moisturising without feeling overly greasy and since my skin gets so dry around these months its been so great to have this. Its left my skin feelig so soft. After this depending on whether it was day or night I followed up with the Day Cream or the Night Cream. The Day Cream £34- Promises to keep your skin fighting fit and it will deeply moisture your skin. It contains all the similar ingredients I mentioned that are in the serum and the cleanser with the addition of pomegranate flower extract. It promises to strengthen the natural ski barrier and keeps your skin moistured to ease dry skin. And like the serum this is so moisturising I even tried using it one day without the serum so I can get a feel for it on its own and it literally left my ski feeling amazing without being greasy. The Night Cream £38 - This Night Cream is quite different from the Day Cream in the sense that it contains Argan oil, Coconut oil and Hemp seed oil and active ingredients that will nourish your skin while you sleep. This promises to plum tired and dry skin while you sleep and restores skins natural smoothness. I just have to say that I love the ingredients in this alot and I am not a night cream person because I am scared of breakouts but boy do I love this it didn't break me out its not heavy and it left my skin feeling quite good in the morning. After about 3 days of using this I noticed my skin looking more healthier and glowy. 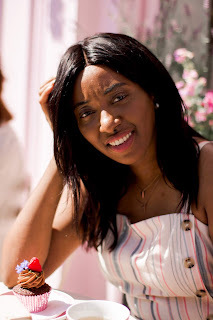 I tend to suffer from dull looking skin easily and these products just restored the luster and shine and youthfullness back to my skin. I love that these products arent overstated they literally do what they said they would do on the tin. I honestly didn't think they would work that fast ad the results would be so good because like I said I am usually a snob to products that are for sensitive skin but these products are for every skin type. Even the ordinary that has a similar selling point in terms of skin products that don't cut corners had one product that broke out my skin. These products smell amazing and my skin loves them I even posted a photo wearing hardly any makeup and it was quite the close up which I never do. Instagram Selfie Here! 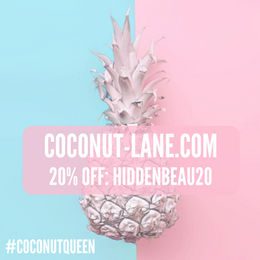 I love these products genuinely usually when I review a whole line I love one or two products more out of the bunch but I literally love all of these products everything from the packaging, to the smell to how it makes my skin look. I also don't revisit a whole product line after I have done a review but I ended up going back to using this after my review because it was saving my skin and I noticed the difference when I don't use these products. 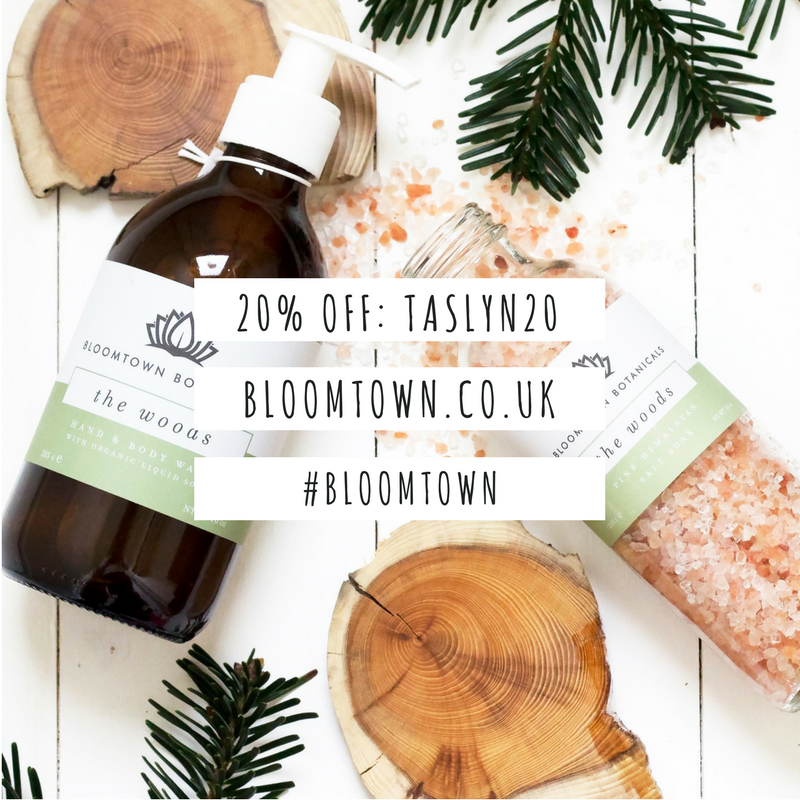 I love natural products that help the skin like argan oil, shea, cocoa butter and I these products are so beneficial to the skin and to see them in these products alongside the higher levels of alkaline. I also love that they produce products to help those with sensitive skin because unlike other skin types that can use practically everything sensitive skin users have to put more thought into what they purchase. So yes I would purchase these again with my money when their done because I am #obsessed and I highly recommend them. Just wanted to say to Sond Skin care a massive thank you for sending me these products to review. These products were sent for reviewing purposes and they are my unbiased opinion. All products mentioned can be found on Sond Skincare's Website if you would like to purchase. They are also selling sets for a more discounted price. 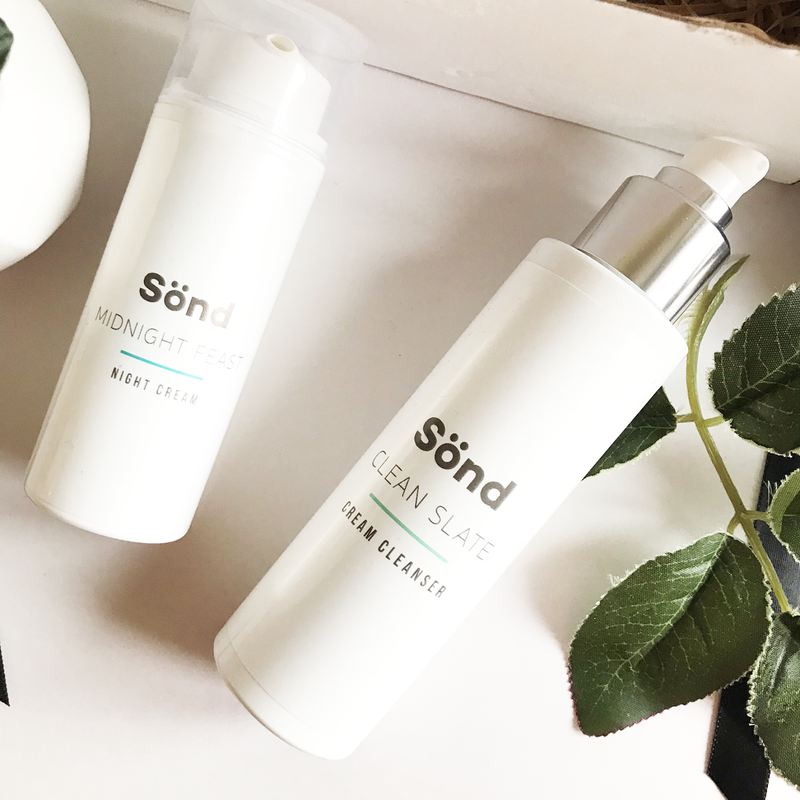 Have you tried Sond Skincare? Sounds like it'll be a great product for some! I'll have to research their ingredients more. My first time to learn about Sond Skincare ! The price is very affordable and the bottles look big too. I should give it a try! 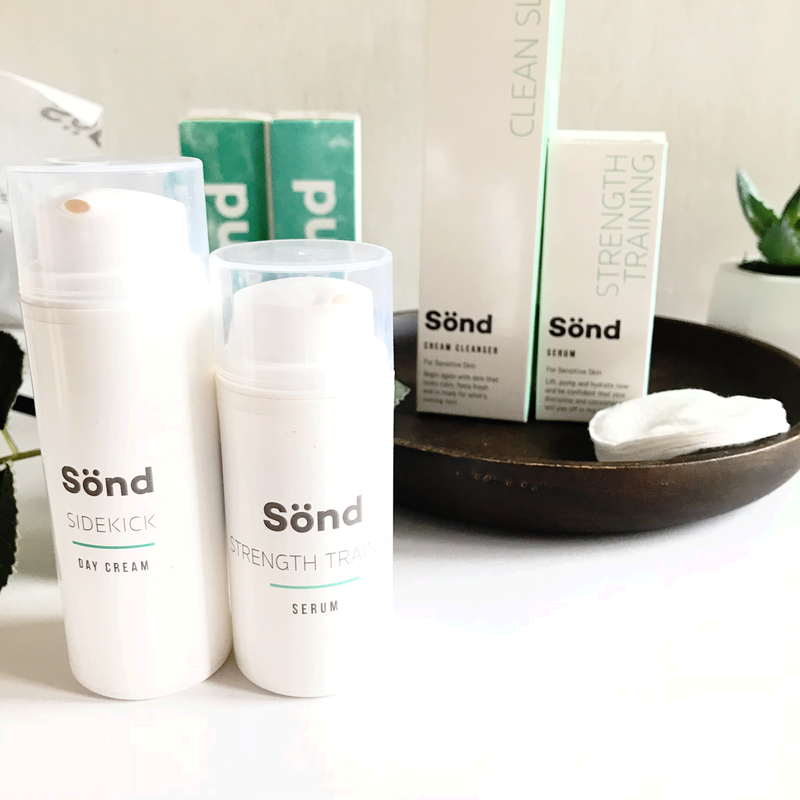 I have never heard of Sond Skincare before. Sounds like a really good product. Thanks for the review. Thank you for this comprehensive review. This brand of skin care sounds very interesting! I was about to say I just need the cleanser one but you had me sold to the whole set. 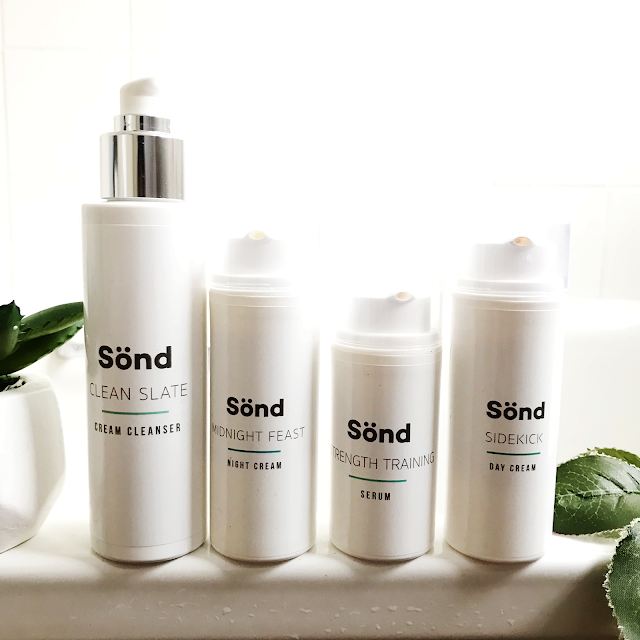 Sond looks like it's going to be a new household name for skin care! I have seen this brand on social media but did not know much about them or how they are. Their products sound amazing, and being natural is another plus.Thank you for your recommendation, I will check these out on their website. These are a little pricey but if they work I think spending out on skincare is worth it! I love the branding it is really simple but nice! I never heard of this brand, but am glad they worked for you. Maybe this will come to the US soon if it isnt in some stores already. I didn't know about the Alkaline levels. Thanks for sharing. I have not heard of this brand but I will check it out. I haven't heard about of this skin care brand. It looks interesting to try and perfect for my sensitive skin. I will surely check this out. Go Sond! Seems like an amazing product. I suffer from ezcema and find it hard use any product on my skin. Thanks for sharing! This skin care range sounds great! I always pay much attention to PH level as I have dry skin and some skincare are too harsh for me. Dry skin should not be over-exfoliated; once or twice a week is ample for that skin type.Non-Surgical Face Lift Costa Rica Oily and normal skin can take more frequent exfoliation; perhaps 3-4 times weekly. These arrangements have diverse dynamic fixings in them that are "logically demonstrated" to work. Cate Blanchett Anti Aging Products How is anybody expected to know which item is directly for that person? The human want for accomplishing the ideal appearance is age old.go to these guys The view of this physical flawlessness changes in various pieces of the world.